The fighting pride of Dublin, Ireland. The notorious Conor McGregor. Dubbed the most hyped UFC fighter since Brock Lesnar, this Saturday on Fox Sports 1 at approximately 23:30 GMT, the world will see if the 25 year old lives up to the hype. 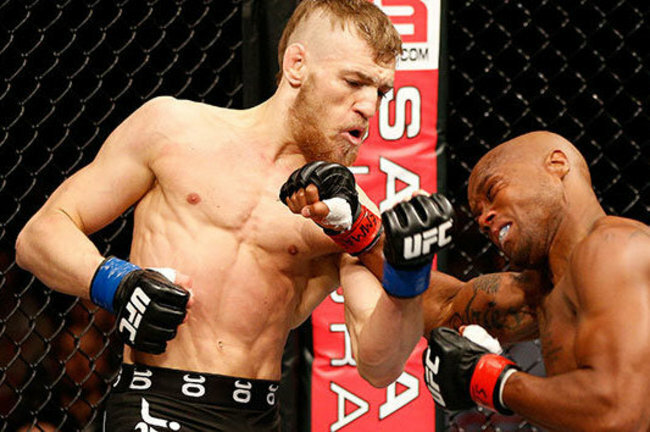 For those of you not in the know, Conor McGregor, is only the second ever Irishman to join the ranks of the UFC (Ultimate Fighting Championship), after his friend Tom Egan entered the octagon a few years ago when the UFC put on a show in Dublin. To put it in relative terms, the UFC is to Mixed Martial Arts what the Premiership is to football. There is no higher division; it is the best of the best. He is a fan and media favourite, due to his frank style of conversing, unbelievable striking power, speed, and technique, and his charisma in and out of the cage. It was due to these factors that the president of the UFC, Dana White took a shining to him, and decided to give him his own media open workout day in the build-up to this fight in Boston on Saturday, something which is unheard of for a fighter with just one UFC fight under his belt. McGregor’s first UFC fightc(video below), which took place in Sweden last April, lasted just 67 seconds, and is a perfect introduction to the sport for newcomers looking to learn more. 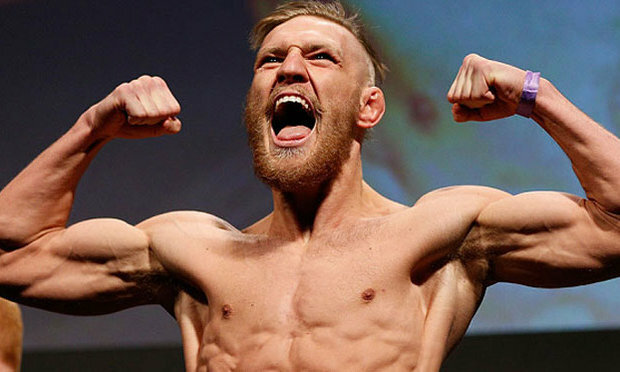 McGregor comes from a strong boxing background, which is evident in his smooth and delicate footwork, and his lightning fast hands, but he has stated in the past that he will take techniques from any combat system and will learn from everyone. He looks for inspiration from fighting styles such as Tae Kwon Do, Capoeira, Karate, and he is very well versed in the MMA staple disciplines of wrestling and Brazilian Jiu Jitsu. He often quotes Bruce Lee, who said that the “perfect style was to have no style”. How can an opponent prepare to face you if they do not know what you can and will do? They will prepare to fight a style they perceive you to have, only for you to go and do something completely different every time. This Saturday will be the toughest fight of his career to date. He will face off against 21 year old Max “Blessed” Holloway in a three round Featherweight bout. 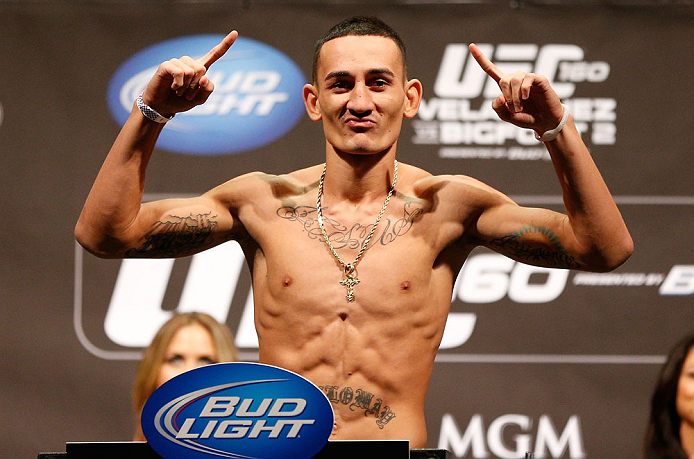 Holloway has arguably the best cardio of the featherweight division, and is coming off a questionable split decision loss, so he absolutely will have something to prove. He will want nothing more than to end the McGregor hype parade, and replace it with his own. Holloway is certainly the most technical striker McGregor has come up against, although he seems to lack that killer instinct needed to finish fights, with 5 of his 7 victories coming from decision. Conor has never fought past the second round of a fight, not due to tiredness mind you, but because he either KO’d or submitted his opponent. If Max Holloway can weather the storm and make it to the 3rd round, he might have a chance of grinding out a victory. If Conor McGregor defeats Holloway, he will look to secure himself a fight against a top-ten ranked featherweight to display just how good he really is. He already believes he is the best in the world; it’s just going to take some time to convince the rest of the population. If you want a perfect example of why this man is so beloved by the UFC fanbase, I have the video for you. A fantastic highlight reel put together by Tommy Lakes shows his interview style, personality and ferocity in the cage exceptionally well. Reblogged this on Mystical Waterfalls Giftshop.